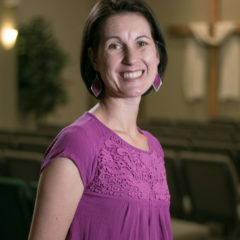 Lindsay started serving at Calvary Chapel Community Church in 2005. Shortly after her husband Mark was called to become an Elder, Lindsay realized that she had a heart for children, and a passion for teaching them about Jesus. After serving as Children’s Ministry Director for 3 years, God then called her to serve as the Director of Women’s Ministry. Today she finds great joy in loving, praying for, encouraging and serving the ladies of Calvary Chapel!